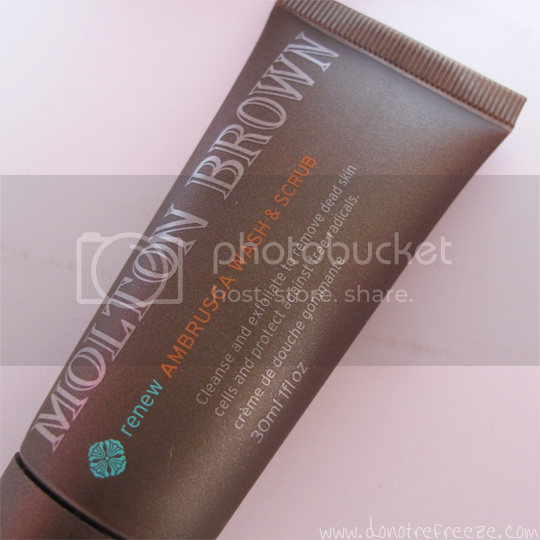 Until quite recently, Molton Brown was a brand that I didn’t really know anything about. I only started working in a ‘proper’ job at the beginning of this year, and as much as I hate to admit it, since I’ve had the money to try more expensive things I have become a bit of a snob in many areas – makeup, skincare etc. It’s taken me a fair while, but my recent introduction to Molton Brown might just have converted me to the high end of the bath and body product spectrum! A few weeks ago I was lucky enough to go to a rather spectacular Molton Brown blogger event where I had the chance to sniff dozens of beautiful products and learn a bit more about the brand. What really resonates with me is how unisex the scents are – naturally there are some more floral scents that you may associate with feminine fragrance, and there are some arguably more masculine ones – but there’s not one product across their whole range that I don’t think would be suitable for both genders, and this non gender specific idea is reflected in the plain but classic packaging. And my god, the scents. Every single product is expertly blended by award winning perfumers with rare products sourced from all over the world, so not only do they make you feel good, they make you smell bloody delicious too and the scents linger for hours on the skin. Warming Eucalyptus Bath & Shower Therapy 100ml: This stuff is absolutely delightful. I’ve always loved the scent of eucalyptus – so much so that I like to sprinkle my pillow with Olbas Oil even when I haven’t got a cold. Speaking of colds, I had the onset of one about a week back and after a long, hot shower using this any sniffly feeling was gone with the wind. This was obviously helped by the dash of potent menthol so whilst it’s an overall woody and warming fragrance, it’s certainly heady and refreshing too. I’m a big fan of woody and herbal scents (there’s also a shot of Rosemary oil! ), so this one is a huge thumbs up. Skinboost 24 Hour Moisture Mist 10ml: Stupidly forgot to take a photo of this one, but trust me when I say this will be your saviour if you fly quite frequently or even if you work in an air conditioned office. It’s not heavily scented and I can’t quite work out what the scent is at all, but it’s a great refresher to spritz over your face and it’s super moisturising. You don’t really hear of moisturising toners, as toners usually contain alcohol to close the pores which in turn can dry out the skin, but I guess that’s the best way to describe what this is. I can’t wait to get some more use out of it next summer, to keep my skin cool and prevent it from drying out in the heat. Travel Reviving Cempaka Bath & Shower 100ml: I’m not usually a huge fan of very floral scents, but this one is so delicate that I actually really like it. Cempaka is also known as white sandalwood, which is what makes up the bulk of the fragrance here but there’s also notes of galbanum, violet leaf and Narcissi (which is a type of daffodil). As the name suggests, this one is designed to help refresh your mind and body after travelling but honestly, it’s a joy to use at any time. 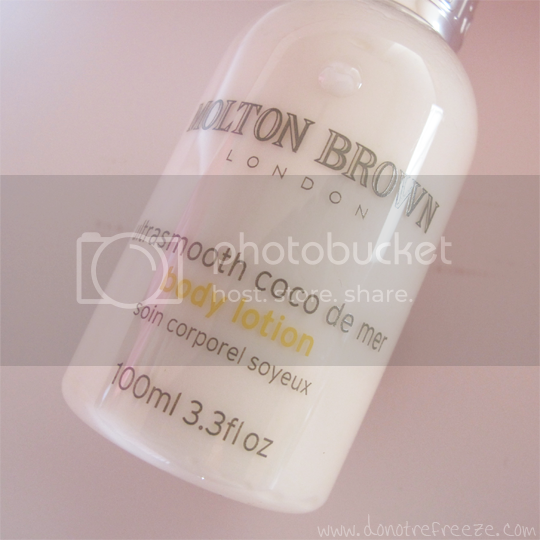 Ultrasmooth Coco de Mer Body Lotion 100ml: It astounds me how Molton Brown have struck the perfect balance between creating a divine scent and delivering it with subtlety and that is perfectly embodied in this thick, rich lotion. The texture may be sumptuous but it sinks into the skin quickly, and the scent is what makes me love it so much (of course!). Coconut fruit extract, honey, exotic jasmine and a hint of tonka bean (which, for the record, is one of my favourite scents EVER) all combine to create a deliciously comforting lotion. LOVE this. Renew Ambrusca Wash & Scrub 30ml: It wasn’t until I’d already used this on my face that I realised this was meant for the body (oops), but it didn’t cause me any problems so hey, I’ll continue using it there. The lovely exfoliant that buffs away lacklustre old skin is ground olive stones, and the lightly floral scent and moisturisation comes from antioxidant Ambrusca grape leaf that that cult favourite, Moroccan argan oil. It’s a good’un for those typically dry areas like the elbows and knees, as it will happily slough away any dry, dead skin without stripping the skin of moisture. Relaxing Yuan Zhi Mist 30ml: I’d never heard of Chinese Yuan Zhi root before, but that’s the main ingredient in this mist that helps to rebalance and soothe the senses. You can spray it on your skin or in your room and allow the Yuan Zhi root to combine with aromatic oils of rose, vanilla and ylang ylang to calm and relax you. Sometimes I can have a bit of difficulty dropping off to sleep, so I’ve always been a fan of lavender, but this is even more wonderful and I’ve been loving it as a room spray before bedtime to ensure a peaceful night. These products all come in a Molton Brown branded clear plastic travel bag, so this and the fact that they’re all 100ml or less does mean that, as the name would suggest, this is a great set for someone who travels a lot. It’s also a brilliant gift idea for anyone as an introduction to the brand. Even for yourself, it’s a really cost effective way of trying out a variety of Molton Brown products without breaking the bank, at £40. So, if there’s still someone that you need to get a last minute Christmas present for you can’t go far wrong with this, and if you can’t get to a Molton Brown store then you’ve got until 3pm tomorrow (19th December) to order online with guaranteed delivery before Christmas. Also, one last little bit of news – if you’re a fan of the spicy pink pepper, ginger and patchouli scented Paradisiac Pink Pepperpod best-sellers, you’ll be pleased to know that Molton Brown have expanded the range with some new products – a scented candle, a body scrub and an Eau Fraiche body spray. I don’t know about you, but the candle is definitely on my hit-list! You can shop the range here. 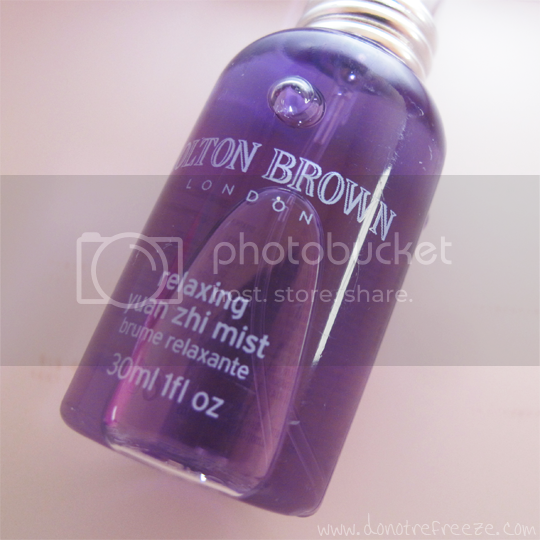 Are you a Molton Brown fan? Anything in particular that you think I should try out? I’ve never tried anything from Molton Brown, I’m not bothered either. I don’t feel at all inspired by this brand. It seems a bit old fashioned to me, but not in a cool way. I’m a snob when it comes to branding and this is dull to me. Pleased that you like what you tried though! The wash and scrub sounds amazing! I’ve never tried anything from their range, but I might now! 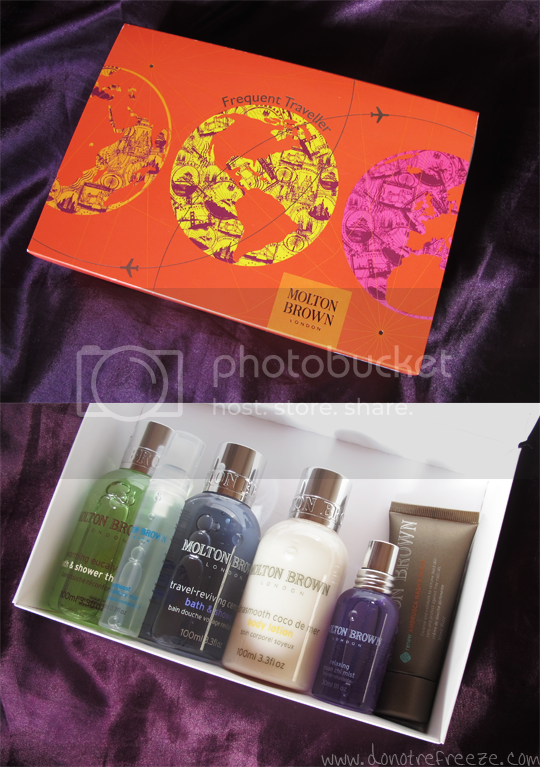 I’ve always liked Molton Brown, even though I can’t afford it as a student! My nana used to get a lot of it from QVC so I guess its a comfort thing! I can’t stand Molton Brown. Their products are overpowering, with no subtlety. The cocktail of ingredients – with the exception of the pungent smells – is pretty much the same as the ‘own brand’ grocery store / supermarket hair, bath and body products. Overpriced and massively underwhelming; but a triumph of marketing – I’ll give them that!